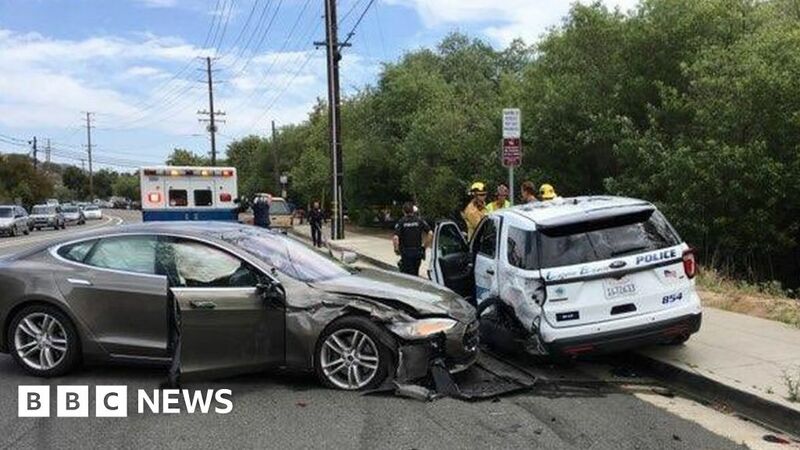 A number of Tesla vehicles have been involved in crashes. A Tesla car has crashed into a parked police car in California. The driver suffered minor injuries and told police he was using the car’s driver-assisting Autopilot mode. The crash has similarities to other incidents, including a fatal crash in Florida where the driver’s “over-reliance on vehicle automation” was determined as a probable cause. Tesla has said customers are reminded they must “maintain control of the vehicle at all times”. The California crash is the latest example of semi-autonomous vehicles struggling to detect stationary objects. A Tesla driving in Autopilot hit a stationary fire engine in Utah in May. According to a police report obtained by the Associated Press, the Tesla accelerated before it hit the vehicle. In Greece, a Tesla Model 3 crashed after the autopilot caused the car to suddenly veer right “without warning”. The driver of the crashed Model 3, You You Xue, voiced his concerns about Autopilot on Facebook. It is not the first time the Autopilot feature has led to dangerous driving. 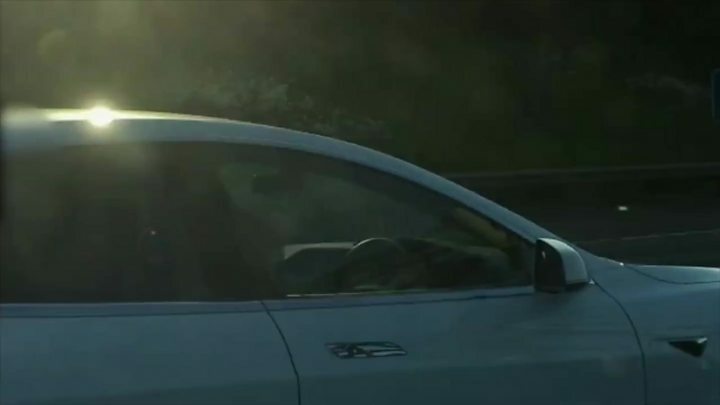 In England, a driver was banned from driving after putting his Tesla in Autopilot on the M1 and sitting in the passenger seat. The news comes after two US rights groups urged the Federal Trade Commission to investigate Tesla over its marketing of the assisted driving software. The Center for Auto Safety and Consumer Watchdog said it should be “reasonable” for Tesla owners to believe that their car should be able to drive itself on Autopilot. It called the naming of the Autopilot “deceptive and misleading”. His comments received support from prominent academic and psychologist Steven Pinker, who has in the past voiced concerns about Tesla’s Autopilot.